You may have heard of Tesla Motors. They took the media spotlight and ran away with it; capturing the gaze, curiosity, and wonder of the American people. How could such a small Silicon Valley car company start gaining so much attention from so many people? Being such a media fixture has it’s drawbacks though. Regular car dealers, ones selling Chevrolets, or Hondas are opposed to the very idea of Tesla, including the way they eliminate dealer competition. Being such powerful companies, they have managed to shroud the situation in mystery. The public is extremely confused as to what’s going on. Is Tesla really that great? Are they trying to destroy car-buying as we know it, like other dealers say? The over-hyping and stereotyping must come to an end. This article will help you understand the true nature of Tesla, taken for what it really is. But first things first, it has to be said that Tesla makes one of the most innovative cars ever sold. It’s not just the futuristic styling. Nor is it the gigantic, iPad-like screen in the dashboard. It’s what’s under the hood. The reason the Tesla Model S is so innovative is the fact that it is currently the best all-electric car on the market. Period. The radical idea of producing an electric car as your only car has made Tesla Motors an instant success, not to mention that it’s a powerful luxury car. However, the car market has been opposed to change for many years and with new technology. The car market has been especially opposed to changing the frustrating process by which dealers exploit buyers. Let’s say you want to buy a Toyota. You’ll have to search for whatever dealership can give you the lowest price, go to that dealership, talk to a salesman, haggle over price with that salesman, do the same dance with the financing salesperson, and a long, long time and a lot of paperwork later, you’ve got a car. Tesla doesn’t do that. You go online, choose your car options (color, interior, and more), order the car, and pick it up at the Tesla store. It’s that simple. Tesla sells the car directly to you, and that’s all. Other car makers feel so threatened that they’re pressuring states to make laws banning cars from being sold direct to customers. Dealers have put attack ads on television, telling people that Tesla wants to tear apart the way cars are sold. Tesla can’t actually do that, but they would enable buyers to skip the middleman (the dealer) and buy right from the factory. As well, people think that Tesla isn’t selling enough cars, or that they should compete with Chevy or Honda with cheaper prices. That’s not true. The Tesla Model S is a very expensive car for a reason- it’s a luxury car, meant for people with high budgets and high taste. It’s also an electric car with costly advanced technology. 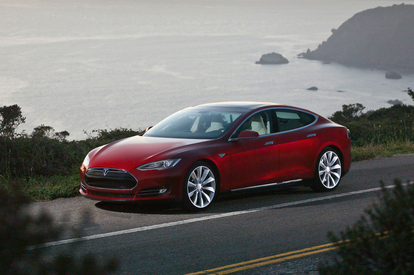 The base Model S is $57,000, and you can order versions such as the P85S costing up to $100,000 or more. You can’t compare a $20,000 Chevy to a $60,000 Tesla, they’re totally different. Tesla Motors has stolen the spotlight of the car industry, and for good reason. 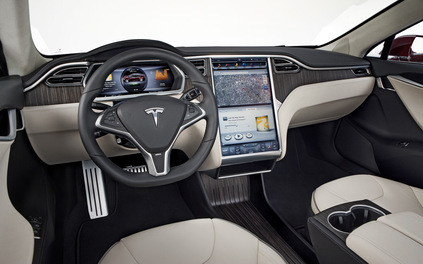 Perhaps Tesla Motors will come to be seen as a company looking towards the future. I don’t think of Tesla as a car company. As stated in this article, Tesla is not your average car company; they produce a different kind of car, they sell it in a different way, and they’re even stealing employees from Apple. They’re a Silicon Valley company. They’re a tech company. As being an owner of a Tesla model S, and have some sort of background knowledge of the company, I can througouly say that they aren’t a tech company. The Tesla industry has sold nothing but cars. Also, their not technically stealing employees from Apple. Those employees have the choice to work there. If we’re talking about stealing, then you can consider Tesla no better than a kidnapper. Also, if cars, which is what tesla sells, is considered technology, isn’t every other car company like Honda and Toyota a tech company too? You’re right- they do only sell cars. But they’re different, inside and out, from other cars, they’re sold differently, and by “stealing employees”, I mean that they’re doing everything they can to attract them over. Why? Because they’re looking to do things that are more “tech company” than “car company”.Plus, Elon Musk said on his Twitter that they plan to release a new product line, unrelated to cars, under the Tesla brand name in April.